Denis Goldberg was arrested in 1963 at Liliesleaf Farm, the headquarters of the African National Congress. The arrest of Denis and his comrades (as he calls them) led to the Rivonia Trial where he, along with Nelson Mandela, was sentenced to life in prison. As the only white man convicted was sent to Pretoria Central Prison. Nelson Mandela and the other men were sent to Robben Island. As a white man, his treatment was probably even harsher than that at Robben Island as he was seen as a traitor. Unlike our visit to the Apartheid Museum earlier that day, Liliesleaf Farm is where it all happened. In the Joburg suburb of Rivonia, African National Congress (ANC) sympathizer Arthur Goldreich had purchased Liliesleaf Farm as a safe house that served as the headquarters for the ANC in the early 60’s. Liliesleaf was the home of Nelson Mandela for a time where he was “hired” as a day laborer under the pseudonym David Morsamayi. At the time of the raid, the ANC knew that the authorities were closing in on them and were preparing to move to a new location, but they didn’t move soon enough. Today Liliesleaf Farm is a museum. You can tour the actual house where the arrests were made, listen to a radio broadcast of Nelson Mandela in the kitchen where he used to eat breakfast and peer into the small room where Mandela lived, hiding in plain site (I wasn’t able to visit Robben Island when I was in Capetown but I imagine this room wasn’t much bigger than his cell). There is an actual museum building that has been built in the back that houses a small auditorium where we had the unique honor of hearing Denis Goldberg talk about his experiences and how they shaped his life. Why a 31 year old man with two young children would celebrate a life sentence is a complicated story, one told much better by him in his recently published book, “The Mission, A Life for Freedom in South Africa”. But what we did get to hear from this 79 year old man, 27 years free, was why he doesn’t regret a single one of his 7,904 days in prison and why if he had it to do all over again, he would do it the same way. While Goldberg is Jewish, he wasn’t raised a religious man. What he is is a humanitarian. Since he was a young kid in the Eastern Cape of South Africa he believed that what he saw happening to his fellow citizens was wrong and as a young white man it was wrong to sit back and let it happen. His activities caused him to miss his own children’s childhoods, something he has suffered some resentment from them for doing. But for him, it was worth sacrificing for his two children to save the lives of millions of others. I share those same principles but can’t help but ask myself, if I were in the same situation, would I have the courage? I’d like to say yes, but I just don’t know. . The South African Tourism Board promises “South Africa, and the things you experience here will change the way you see the world and the way you live your life; the you who leaves South Africa won’t be the same as the you who arrived.” (watch video here) . Promise kept. Plan to spend at least an hour and a half to visit the museum as well as the home and outer buildings. The exhibits are very interactive which makes it an interesting visit for younger kids. When John Kani talks about what distinguishes whites from blacks, that is how he describes it. That’s a powerful perspective, but even more powerful coming from a man who spent 51 of his 69 years as a black under apartheid rule. To catch everyone up, I was in South Africa with AFAR magazine. Launching in 2009 (who would have thought launching a magazine in ’09 was a good idea?? ), the mission of AFAR is to create a “brand that inspires and guides those who travel the world to connect with its people, experience their cultures, and understand their perspectives.” The embodiment of that mission is what attracted me to AFAR magazine in the first place and what compelled me to join them in South Africa as part of AFARExperiences. Having visited South Africa five years ago and fleeing Joburg immediately on arrival (based on the advice of others) I was intrigued by the opportunity to return and spend quality time in the city. My adventure in Johannesburg began with a trip to the Apartheid Museum. I expected a powerful experience, what I didn’t expect was that it would be housed in an amusement park. Yes, the Apartheid Museum sits right inside the gates of Gold Reef City, in the shadow of a roller coaster. While the locals see irony in the fact that the museum sits on a site where nothing actually happened, there is actually a logical explanation. When the developer wanted to build a casino there the government insisted on a cultural project being part of the development. The Apartheid Museum was born. True to their promise, AFAR did offer us a once in a lifetime experience. The museum was closed to the public so we were able to explore the entire museum on our own. And the tour ended with a talk by John Kani, a black South African playwright who won a Tony Award in the ‘70s for his performance in “The Island”, a play based on Robben Island. John was born in 1943 in the Eastern Cape and spent most of his life living under, and fighting against Apartheid rule. Listening to John Kani put the years since Apartheid in a whole new light for me. I barely recalled that when Nelson Mandela was released in 1990, as his release from prison was televised, no one knew which one he was. No one had seen him in 27 years. The only way people could identify him was by the woman by his side, the same woman who had been by his side all along, his wife Winnie. How could a man so revered in his country, be so unrecognizable? That’s how powerful the white government was. After his release the attitude amongst non-whites was, now we are free, now is the time to seek revenge, kill the oppressors! But Mandela said no, it’s not. Mandela’s message was that now is the time to make South Africa the South Africa for all people black and white. The problem was that those who had been fighting for their freedom all those years knew what freedom was, but they didn’t know about democracy. That was something they would have to learn. They came to accept that the only way to democracy was to accept that the problems of South Africa were everyone’s problems and as everyone’s problems they could only be solved together. That acceptance led to an approach now known as truth and reconciliation and has been a model for conflict resolution all over the world. Some say the Irish Peace Accord would never have been reached without it. Kani believes South Africa is predestined for greatness and to achieve that greatness South Africans need to let go of the bad memories of the past and look to the future; “you can’t measure progress wearing the spectacles of the past”. He looks at the 51 years he spent under apartheid rule as part of his “journey from the past to the present and a commitment to the future”. Here in America we believe that we have mastered democracy. 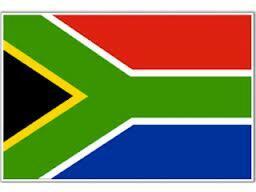 After spending time in South Africa I would suggest that we might have a lot to learn from this young nation, only 18 years into their democracy. Later that day we visited a place where things did happen, Liliesleaf Farm. Liliesleaf, in the suburb of Rivonia was the headquarters of the ANC that was raided in 1963 leading to the Rivonia Trials and the sentencing of 10 ANC leaders to life in prison (including Nelson Mandela). I’ll share that experience in my next post. They say every journey starts with a single step, mine actually started with five queues on three continents. But since it culminated with an afternoon nap in the courtyard of the Melrose Arch hotel in Johannesburg, it was worth every toe tapping minute spent waiting. While the airports were a nightmare, the trip itself was actually quite pleasant. I chose to fly British Airway’s World Traveller Plus class, aka “premium economy”. As someone who has been flying since I was about 3, I can assure you it is simply what economy class used to be, pre-deregulation. Without a doubt, premium economy offers travellers the most bang for the buck, don’t get me wrong, business class is a great way to fly, but you still end up in the same place. The World Traveller Plus seats are slightly wider (emphasis on slightly), the seat pitch is a bit steeper (+7″ v. economy) which means you don’t have someone sitting in your lap the whole flight. The service is more than acceptable. You get the hot towel service, which always makes one feel like a VIP. The food was quite good and the beverage cart came round frequently (sorry, that’s important to me). I’ve become a big fan of ambien for long flights. Brilliant, I didn’t wake up till we landed. (One side note, I picked up an awesome neck pillow at XpressSpa at JFK. I’ve always found neck pillows silly, but facing a middle seat b/w JFK – HTR I figured I’d give it a shot. What I love about this one is it actually converts into a regular pillow as well which makes it much more versatile). So I’m finally in Jo’burg and the adventure begins. I met my fellow AFAR Experiences travellers at the cocktail party last night. True to their promise, they have assembled a group of fantastic, curious people with whom I look forward to exploring Jo’burg. Today’s itinerary includes the Apartheid Museum and Liliesleaf Farm with a cooking class w/David Higgs at the Saxon Hotel. Mission Accomplished! Time to go! Now that “Travels” has completed it’s makeover, it’s time to actually . . . travel. I suppose in a way this next trip will be test driving the vagabonding concept. 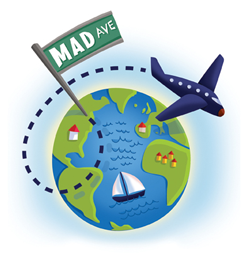 I’m travelling “from” Mad Ave in the sense I originally intended: leaving the madness for awhile to go exploring. My exploration will take me first to South Africa, then on to Scotland. While that itinerary may make no sense, I can explain. This trip started with a phone call. Bridget, a friend of mine, is a big fan of a band called the Glengarry Bhoys, a Canadian Celtic band that often plays in the Buffalo area. They were heading over to Scotland and decided to invite 30 of their closest friends to come with them. Now, I wouldn’t exactly call myself one of their “closest” friends and I’m still not sure if I’m expected carrying the speakers and handle the mixing board. But Bridget wanted company and that was good enough for me. Even though I have already been to Scotland (with Bridget, by the way) following a band around the country playing ceili’s in random pubs sounded like a unique way to visit again. So, I’m off for what is turning out to be an almost annual trip to somewhere in the UK. Then, the chance of a lifetime comes along. About three years ago, AFAR magazine launched. Having worked on and off in the travel industry on the advertising side, I received their premier issue. I loved it immediately. The editors vision was clear in the first few pages. This magazine was written for those of us who travel for the experience. We travel to meet new people, try new foods, visit unique parts of the world – even those parts that most people pass over while going from one place to another. We do it simply to experience something that might make us look at our own world a little differently. Last year, the AFAR franchise grew to include AFAR Experiences. These guys know that their readers aren’t satisfied just reading about places, they’re really going places, so once a year they invite readers along on a trip. After their inaugural trip – to Cairo – this year the magazine has invited readers to join them in Johannesburg. Now, I have been to Johannesburg. Terry and I and two friends went to South Africa for Terry’s 50th birthday. We flew into Johannesburg, made it through immigration in our Ambien muddled haze and met our greeter from Zulu Nyala, who loaded us and our luggage into a van for our six hour ride to safari country. My entire experience of Johannesburg that trip was to get off the highway to load up on some wine for our ride (in hindsight not such a great idea given the Ambien was still running through our bloodstreams). This was all pre-World Cup, so the chance to go back and actually spend some time in Jo’burg will be, well, a different experience. So allow me to introduce you to the new www.TravelsfromMadAve.com and kick it off with a trip around . . . half the world. Please follow me. The biggest surprise for me in Amsterdam was the food. I’ve already told you about the fondue (Cafe Bern), and our local meal with Daan & Yasmijn. On Saturday night we chose to partake in the local specialty, Rijsttafel (Indonesian rice table). With it’s history rooted in the Dutch colonization of Indonesia, rijsttafel was created as a way to showcase abundance and the rich diversity of the Indonesian culture. Today, it is like tapas on steroids. We chose Sama Sebo which is located right by the Rijksmuseum. After Daan had shared that it was his mother’s favorite Indonesian restaurant in Amsterdam, we felt comfortable that we had chosen well. A feeling that was most certainly confirmed a few hours later with our tummies full and I, with a marriage proposal and invitation to move to Bali. The restaurant itself was rather small and given the sharing nature of the food the dining room was teeming with large tables full of celebratory gatherings. Our table of five was one of the smallest groups there that evening. While there were a few decisions to be made once sat down, like what kind of wine will you drink, still or sparkling water, other than that, the food just starts coming. Once we had our drinks, the serving tables started arriving. There were several small carts brought to our tableside, some with heating dishes on them. Then the food started coming. And boy does it just keep coming. Our table was full, the serving carts were full, there were plates on top of plates. True to it’s purpose, the vast array of flavors on the rijsttafel were out of this world. There were spicy meat dishes, some curries, peanut sauce and a little sweetness to the chicken dish. There were multiple types of rice, every kind of meat and vegetables served every way imaginable. Each dish tasted better than the last but each in it’s own unique and surprising way. Unlike my experience traveling in Greece, traveling as five women in Amsterdam brings you a lot of friendly attention. The experience at Sama Sebo was not an exception. The atmosphere was lively and celebratory. The wait staff had a mixture of respect and irreverence. While they enjoyed sharing their cuisine with us obvious amateurs, I do think they found amusement in our picking through some of the more unusual dishes. There are many rijsttafels in Amsterdam. We were told this is one of the best, but I’m sure any one of them would bring it’s own unique experience and I’m sure excellent food. I have not yet found a rifsttafel in NYC that sounds like it would even remotely match our experience in Amsterdam. I’ll keep looking, but in the meantime, if you find yourself in Amsterdam, don’t miss out! Today’s entry has no picture, there is none needed. The most telling picture of the Anne Frank Huis was drawn, years ago by a little girl in her diary. Traveling is always about opening up that great opportunity to meet people you would never otherwise have known. From the person sitting next to you on the plane, the cab driver, the waiter at the restaurant or even your tour guide to the chap sitting next to you at the pub. You get to meet all sorts of people. The other incredible people you meet are those who have been immortalized in museums. In Amsterdam, I got to meet Anne Frank. I am of the age that the “Diary of Anne Frank” was still required reading in school. Even amidst our air raid drills in school, it was impossible for us to really understand what Anne’s life was like, try as we may. I tried to imagine what being confined to my small bedroom would be like, even for a day. I tried to imagine what the incessant darkness behind the blackened windows was like (and as a young girl in Buffalo, NY I had a better chance of that than most), but I couldn’t. I tried to imagine what the constant fear that someone would come take you away at any moment, simply because of the religion you born to was like, but I couldn’t. Mostly I tried to imagine what kind of people would do that to other human beings, and I still can’t. Most of us mourned for Anne Frank years ago while reading her diary. Visiting the Anne Frank House in 2012 brought a different kind of sadness. The sadness that 6 decades later, 12 years into a new century, there are still children living with the same kind of fear all over the world. And there are still people willing to kill others for their own beliefs. At the end of the tour, visitors hear from Anne’s father himself. In that video, he tells us about the kind of girl Anne was and about his special relationship with her. He concludes, after reading her diary for the first time after her death that “most parents don’t know, really their children”. For those of us who believe in some kind of God, as father, perhaps that is how he feels as well. For people who love cats, a cat museum could hold a lot of promise. What on earth could be in there? A cat museum might be full of sculptures of cats, or cat things like toys & food bowls or just cat accessories (there was a cat handbag at the Museum of Bags & Purses). It could be actual cats. There is a lot of history of cats in literature, or just cats throughout history. But the Kattenkabinet is an art museum. A collection of cat paintings and statues, mostly. For non-cat lovers the image of a cat museum conjures up a bunch of crazy cat ladies worshiping a shrine to their love of cats. In this instance, they’re sort of right. The museum is located on the northern end of the Southern Canal belt on the Herengracht canal. It is actually in a beautiful building, more on that later. You are greeted by a cat lady who sells you your ticket and and invites you to enter the museum which is one flight up. The minute you enter the museum you feel as if you are entering someone’s house (you have to ring a bell to gain entry) and you actually are. The owner still lives on the 2nd floor. Even if you don’t like cats you can enjoy the architectural beauty of the building. You get a real sense of what it would be like to be living in 17th century Holland (the building was built in 1667). One room of the museum is still set up as a dining room with dining table and hutch and all. This room looks out onto the canal and you can just see the guests gathered around the table enjoying an evening meal with their gracious hosts. There is a courtyard out back which is in a bit of a shambles right now, but you can imagine a day when it housed the most beautiful garden. So, if even if you’re not a cat lover, I would say go. But for those of us who actually get excited about the prospect of a cat museum, it was a bit of a disappointment. As I said earlier, there is so much opportunity for what a cat museum could be, and while they tout their collection of Picasso, Rembrandt & Toulouse Lautrec, they are overwhelmed by all of the other underwhelming artwork in the collection. My artistic skills are quite limited but it occurred to me that if I, like Van Gogh, gave up everything and devoted myself to the painting of cats, even I could wind up in the cat museum. We went for Van Gogh, we found handbags. Really, whoever thought of the Museum of Bags & Purses was brilliant! With visions of impressionist artists in our head we were so easily distracted by the handbag museum. But to those who might be thinking, but art hangs on walls, I implore you to open your mind because what we found in the handbag museum was as creative as any swirling field painting. There were literally handbags in any design you could imagine. A teapot, a witches hat, a fish, a telephone (that actually plugged in), a can of Diet Coke, a champagne bucket, even a cruise ship. And then there was the history of handbag design, the variety of materials used over the years: mother of pearl, beading, embroidery, etc. This museum traced the history of upper class culture over the years. So don’t overlook this museum as a throw away for those who think shopping is art. The Tassenmuseum is a unique look at culture; the culture of accessorizing. A few notes: at Herengracht 573, a short walk from the Hermitage. You will need about 30 minutes for the museum, but leave 45 minutes for the shop! The shop is lovely, lots of handbags, of course, but also key chains, change purses, books, etc. I was helped by Rinie who was great! Very knowledgeable and had a back story about every bag. I settled on a small cowhide purse designed by Hester Van Eeghan, not only do I seem to be in an animal fur phase of handbags (sorry PETA) but how could I resist a bag by an Eeghan? I thought I had seen it all, until I went to the Cat Museum.